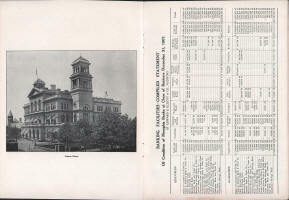 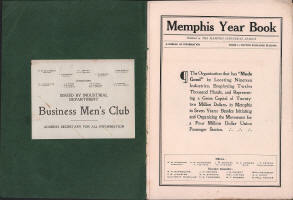 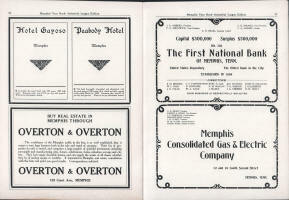 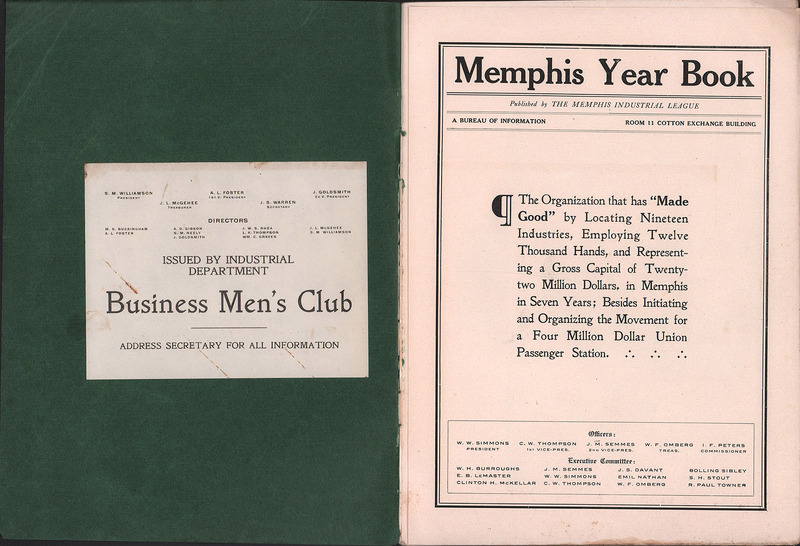 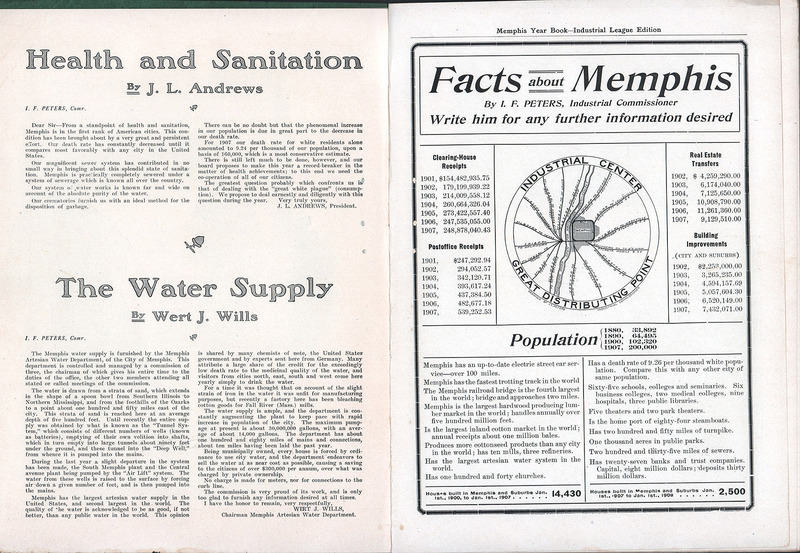 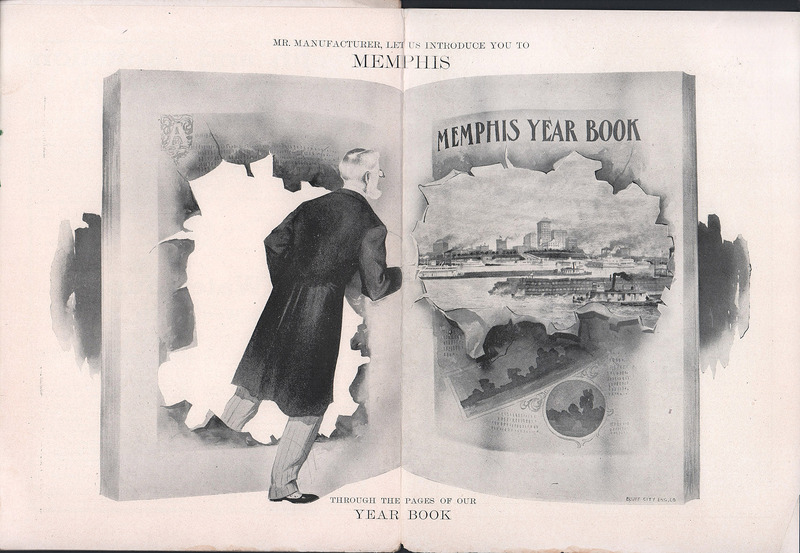 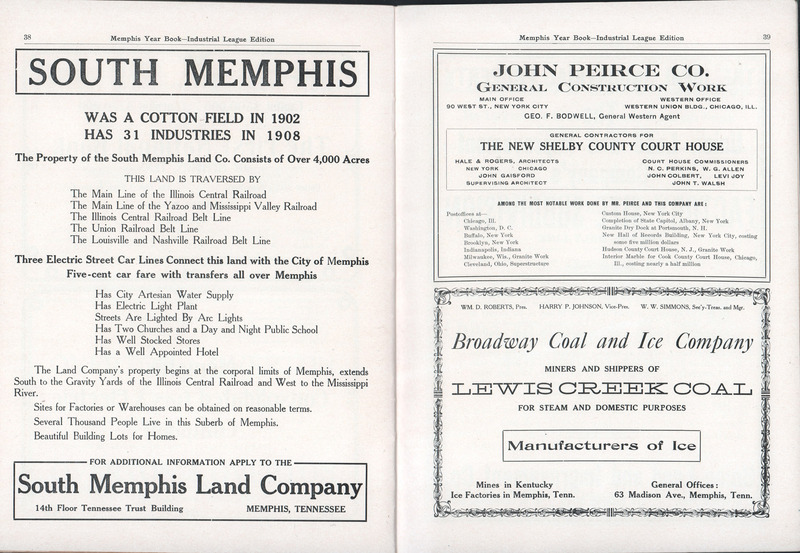 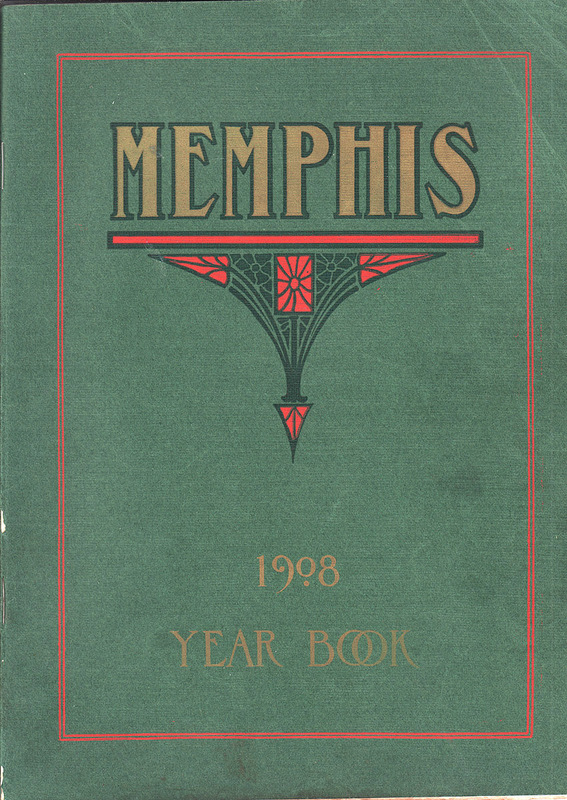 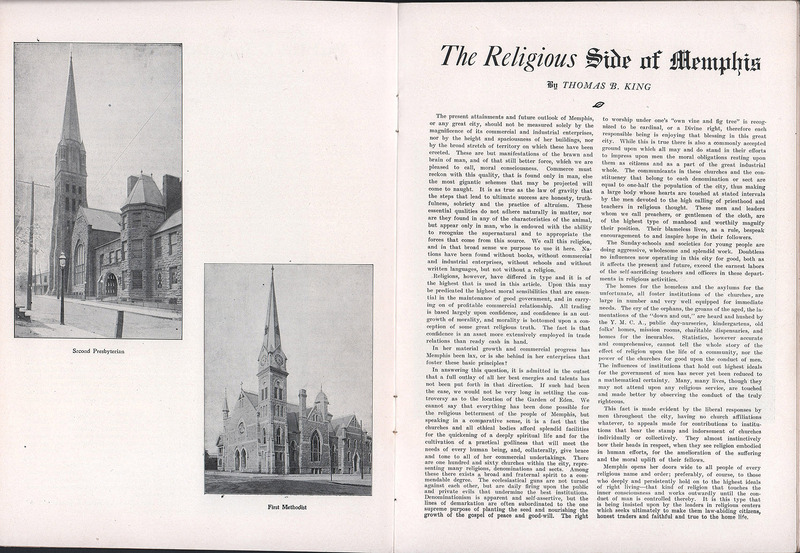 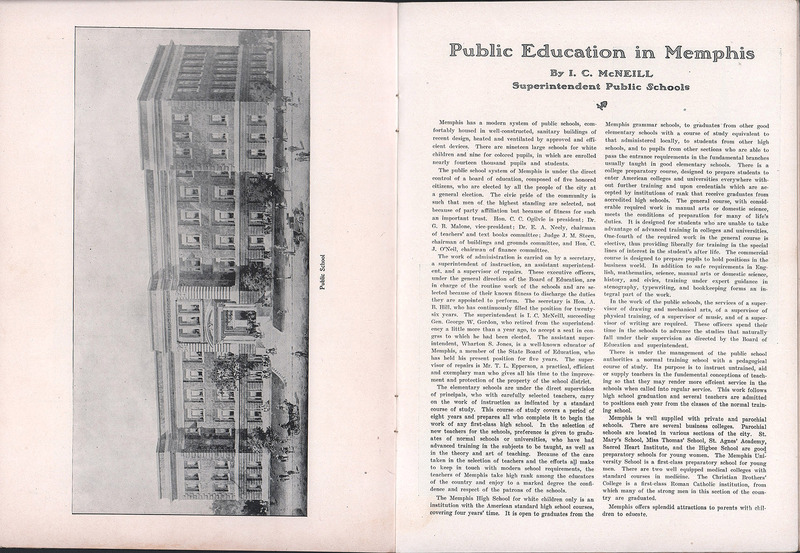 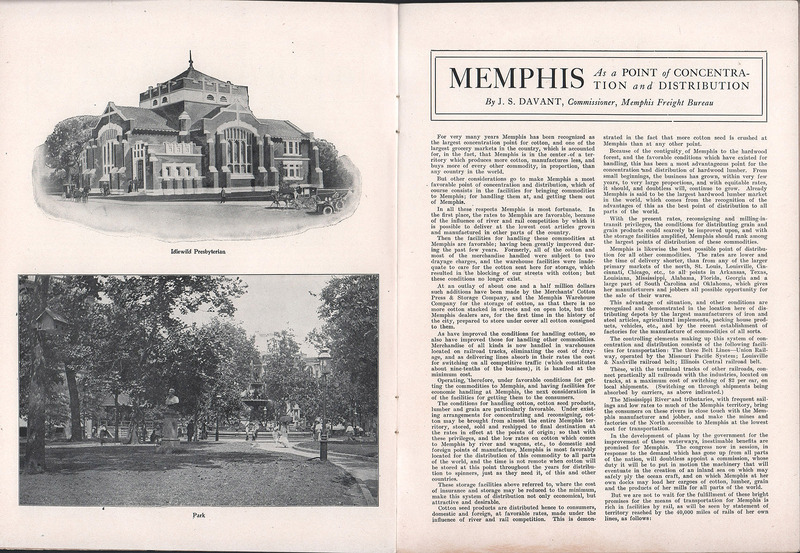 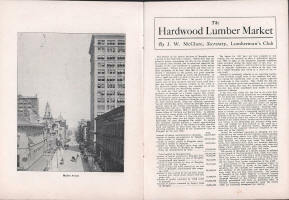 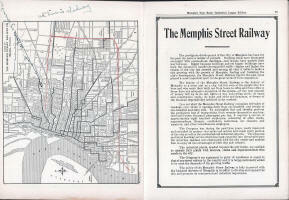 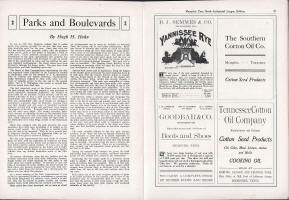 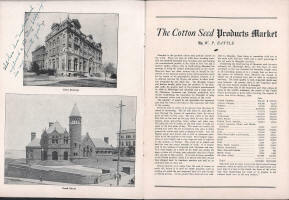 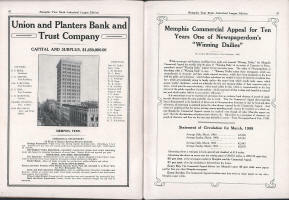 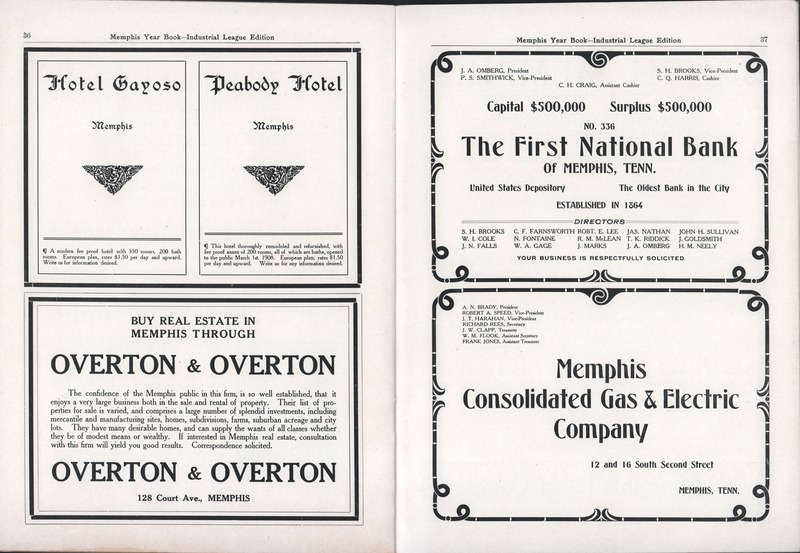 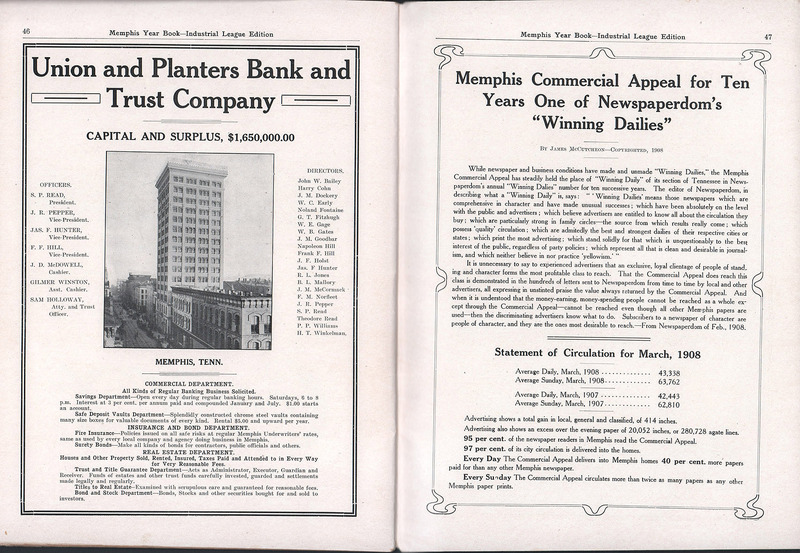 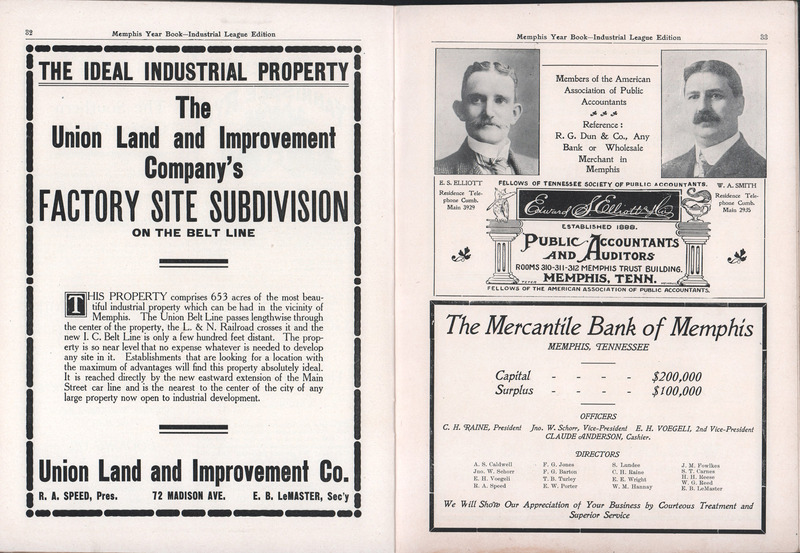 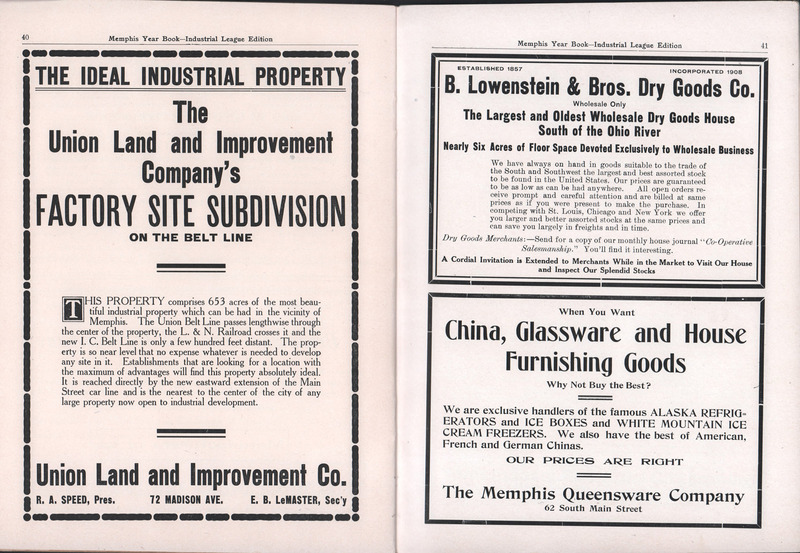 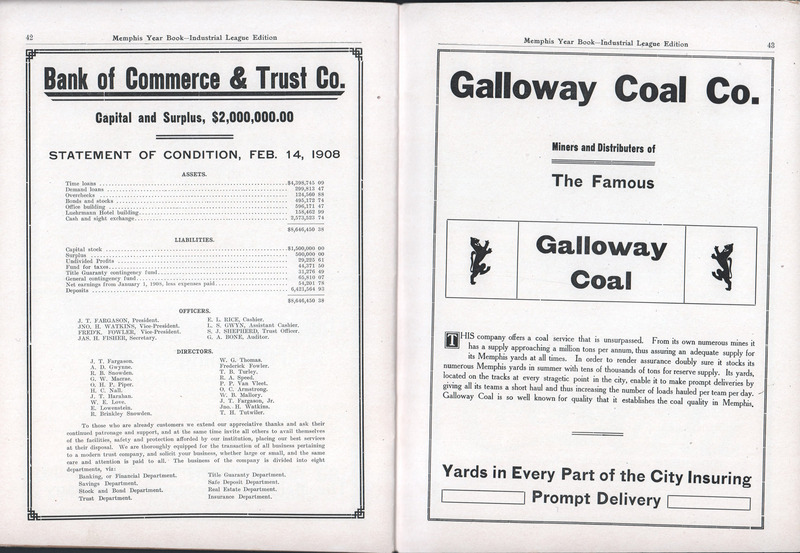 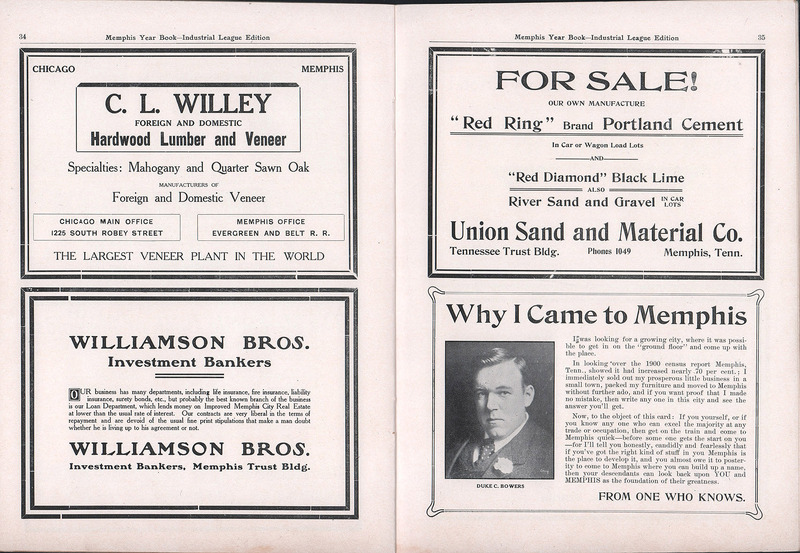 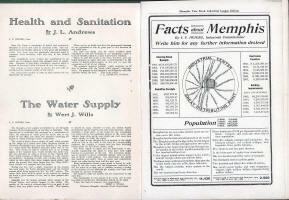 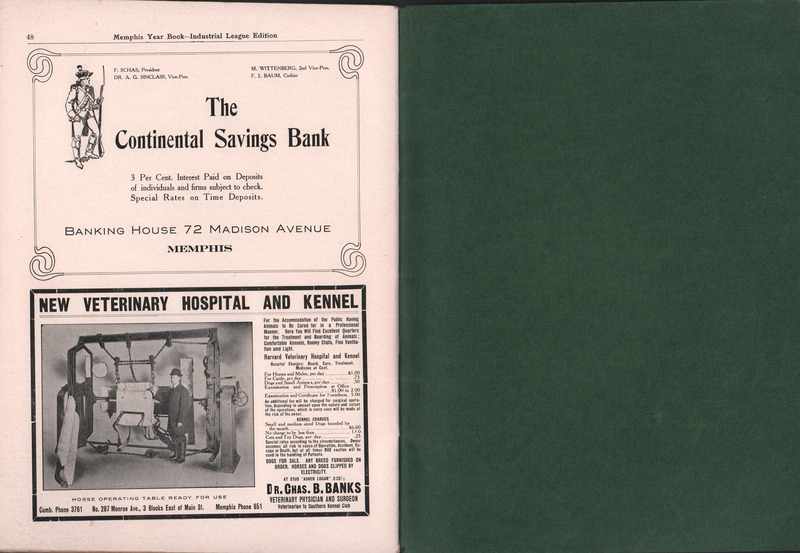 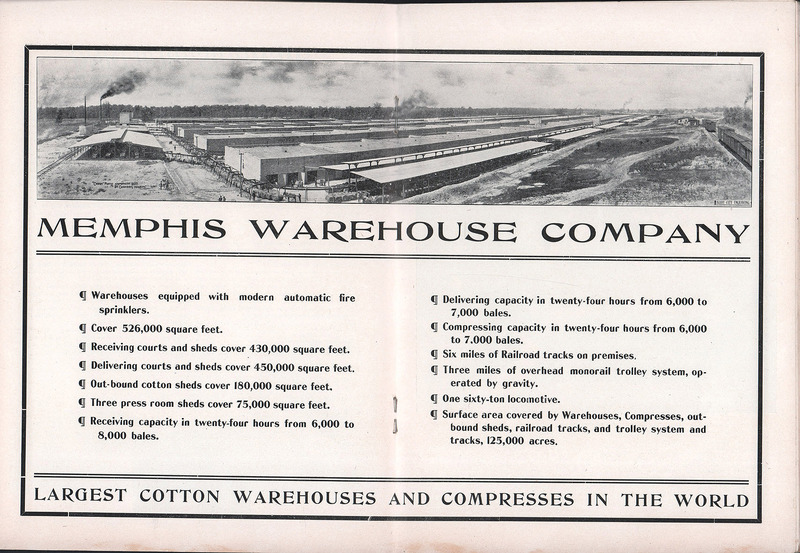 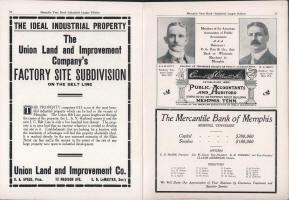 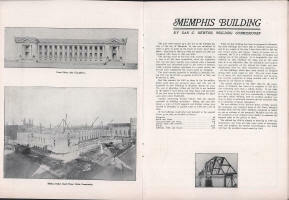 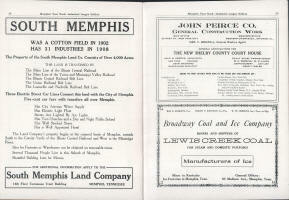 This Yearbook of Memphis photos and "Facts" is the 1908 Industrial League Edition. 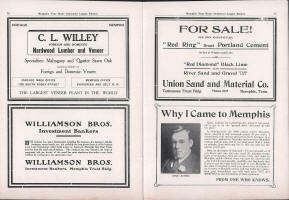 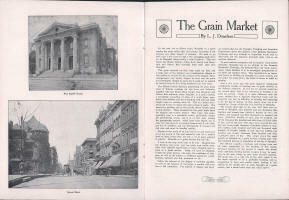 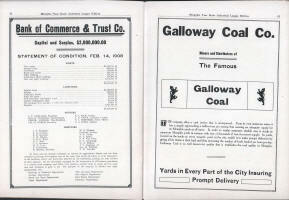 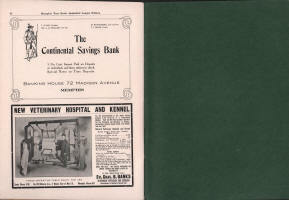 The contents are similar to the other publications published by the city's Chamber of Commerce - a photo book of all that's good about a city. 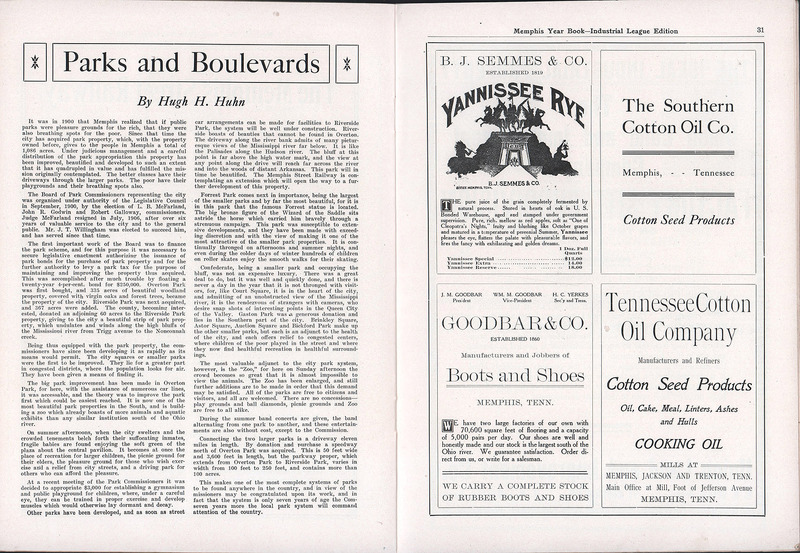 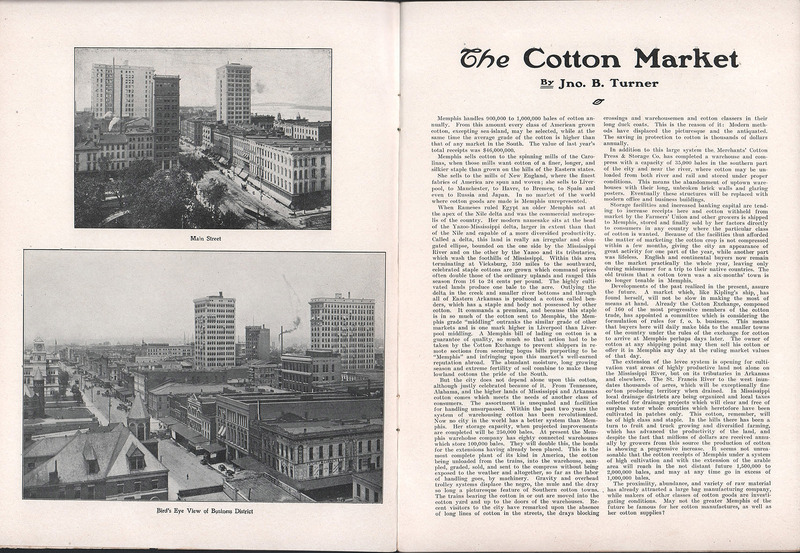 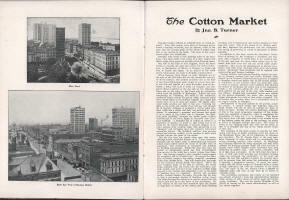 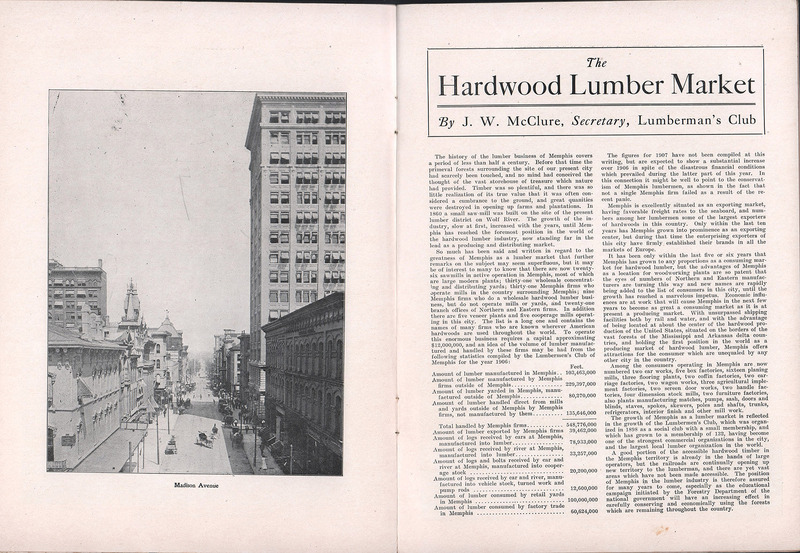 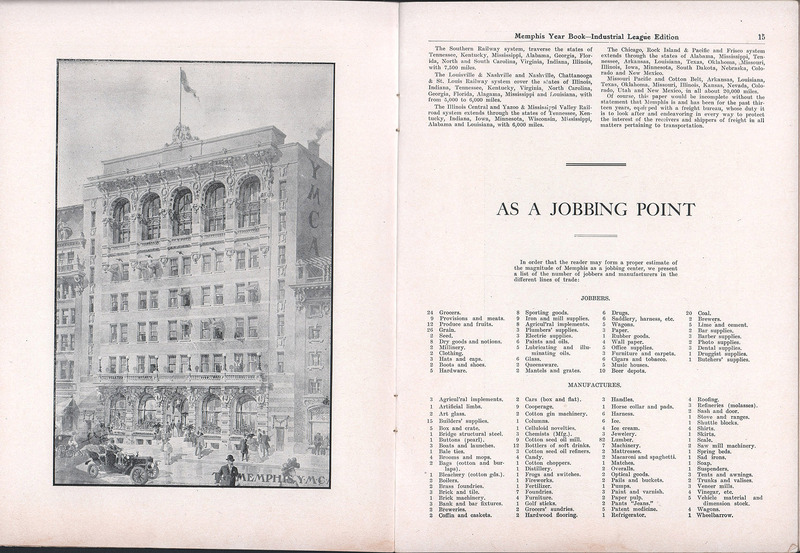 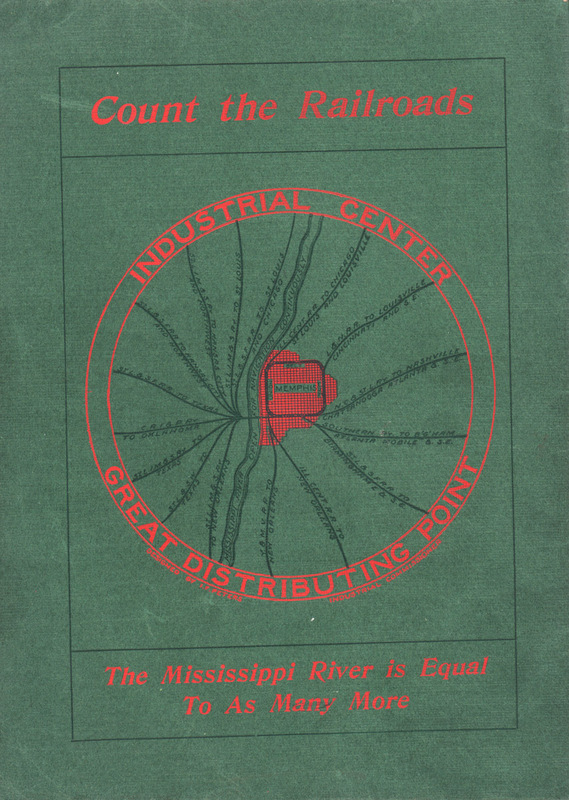 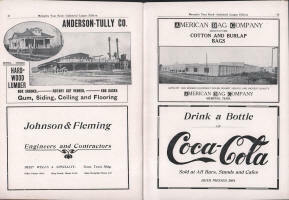 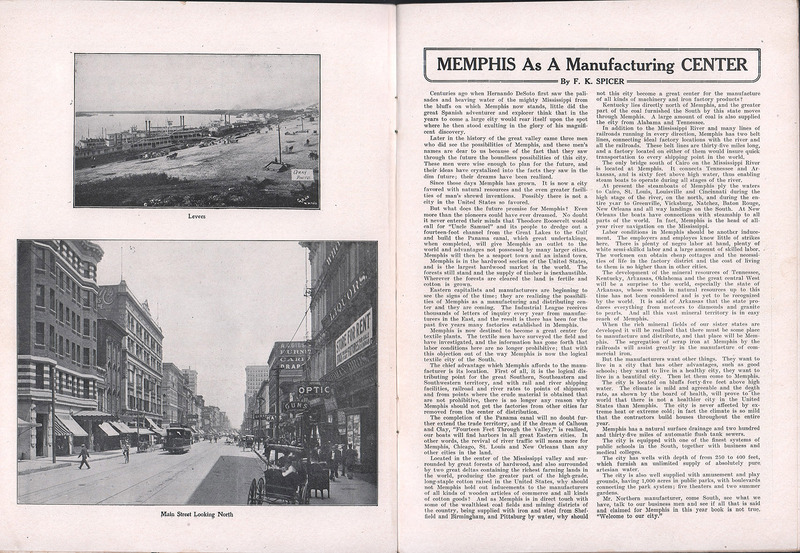 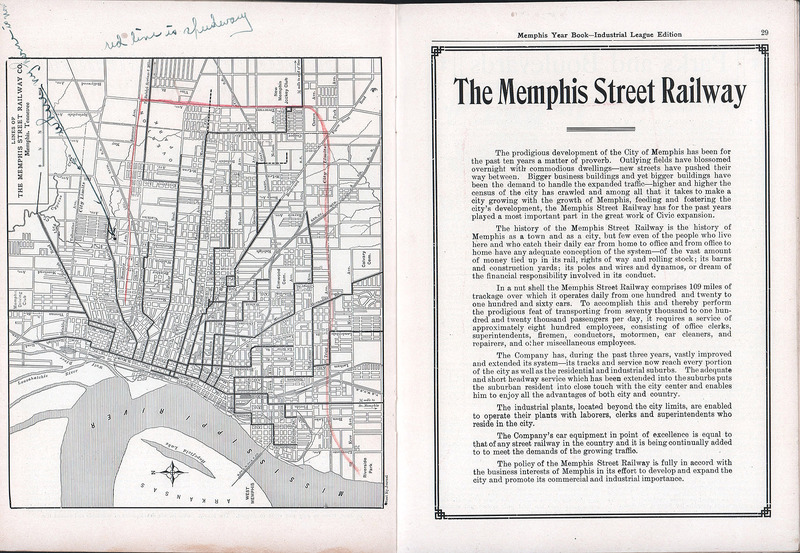 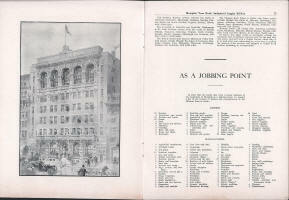 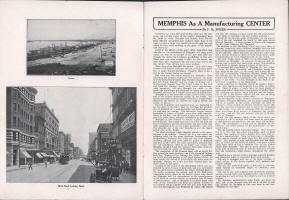 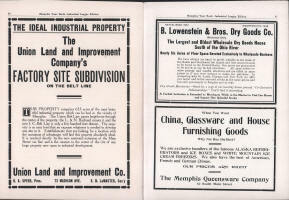 Although the book includes early photos of Main Street, Madison Street, and office buildings in Memphis, the emphasis is on marketing and manufacturing, to make Memphis desirable for companies to move to the area. 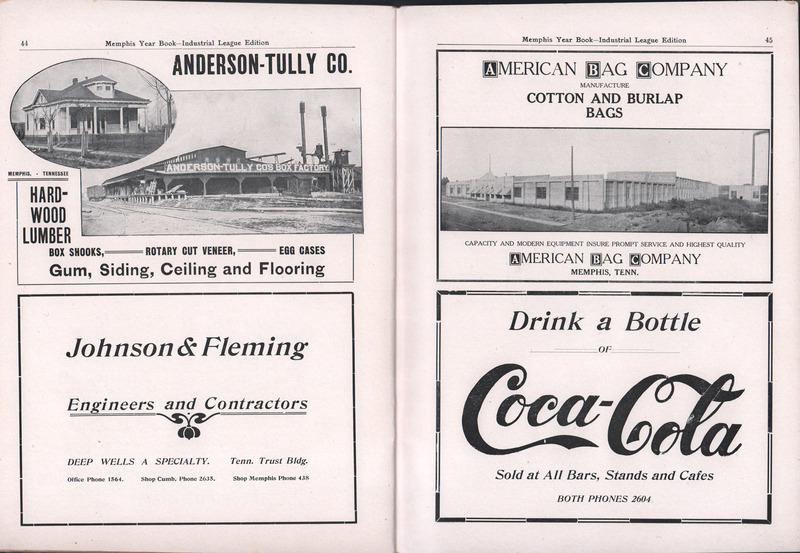 This is strengthened with advertising from companies already located here. 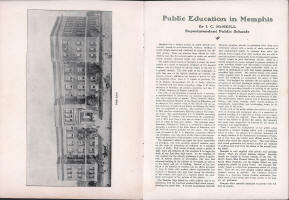 Click on the small photos to see full screen photos of each page. 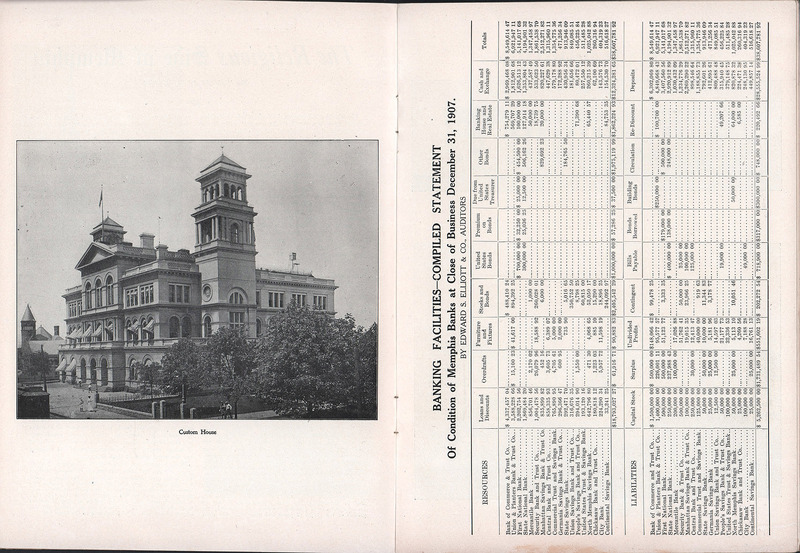 The files are large. 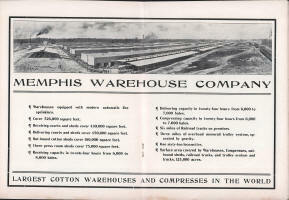 Please be patient while they load.